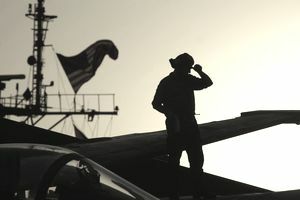 The Navy Enlisted Classification (NEC) system supplements the enlisted rating structure in identifying personnel on active or inactive duty and billets in manpower authorizations. NEC codes identify a non-rating wide skill, knowledge, aptitude, or qualification that must be documented to identify both people and billets for management purposes. For example, if a Navy police officer ( MA -- Master at Arms ) receives specialized training as a K-9 Dog Handler, he/she would be awarded NEC MA-2005. From that point on, the sailor could be assigned to Navy law enforcement duties involving military working dogs. Performs preventive and corrective maintenance on assigned equipment at the organizational and/or intermediate level using ordnance publications, circuit diagrams, and other appropriate documentation. Performs casualty analysis and fault isolation, and operate, test, align and repair individual equipment, the system and the interface with other systems. Operates the director(s), computer(s), radar console(s) and associated equipment as applicable in support of the ship's weapons system in a tactical situation and during test and evaluation.